Engineered for superior durability, backed by industry leading warranty. Outlet gasket. Manifold gasket. "Mishimoto Intercooler --MISHIMOTO – UNIVERSAL ALUMINUM INTERCOOLERS. Mishimoto’s universal aluminum performance intercoolers do just that – reduce the temperature of the pressurized air to maximize performance. Turbine Flange: T3 Flange. Downpipe Flange: 2.5” 5 Bolts Flange. RAM HORN STAINLESS STEEL TURBO MANIFOLD 88-00 Honda Civic All Models with B16/B18 Engine. Direct bolt on design.3.1MM wall thickness,ram horn design for less turbo lag.Quick throttle response. "AFE Wastegate Actuator --. 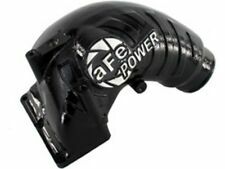 AFE POWER WASTEGATE ACTUATORS. Actuator arm is adjustable and has a locking jam nut. Condition : New. Exclusively for racing applications. Therefore all implied warranties that may apply to your part are limited to the duration of this written warranty. Fits OEM # 3538883 / 3802882. For Cummins 6B Encore Diesel Engine 275 HP. High Quality Built product. Each Turbo is individually tested and computer balanced. 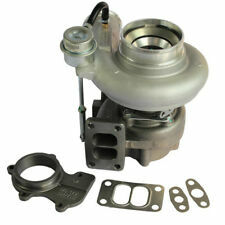 (For 2003-2007 for Dodge Ram 6BT 5.9/ 5.9L. Exhaust Inlet (Turbo Manifold) Flange: Standard T3. Emission Engines ONLY). Will this fit my car?. Important notice All TuningPortal products have 2 year warranty (unless otherwise stated). Exhaust turbo manifold flange standard T4 twin scroll. Engineered for superior durability. Engines & Components. Safety & Security. Cooling System. 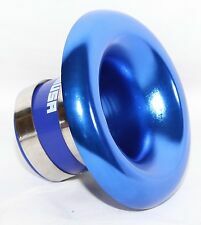 Intake outlet: 2.875". Intake inlet: 4". Ignition system. Built with ultra-durable ductile iron, these elbows will outlast and outperform their factory counterparts. Install right on aFe BladeRunner or original turbo. Series : aFe Power BladeRunner. Notes : Mounts to Either the OE or aFe BladeRunner Turbo PN 46-60050 without any Modifications. Fits 2007 to 2012 6.7l Dodge Cummins engines. Upgrade with T3 Flange. Cummins Diesel 6CTAA. T3-Divided Exhaust Inlet Flange. IMPORTANT NOTICE. Fit Turbo:HE351VE. They are balanced to or beyond OEM specifications. Application: Dodge Ram Diesel Truck. Year: 2007.5 - 2012. US Turbo Systems. IT'S BALANCED AND READY TO BE INSTALLED. Why Choose Us turbo system. CXRacing RAM Horn Style GT35 Turbo Kit for. 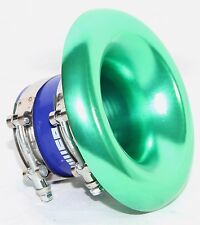 Manifold GT35 Turbo Wastegate Downpipe WG Dump Tube Oil Feed Line Oil Sandwich Adapter. This New Manifold also fits Big T3 Turbo like GT35. GT35 Turbo and Wastegate. Genuine Cummins Turbo Oil Feed Line for 5.9L 24v Cummins 2003-2007. Genuine Cummins Turbo Oil Line Fitting for 5.9L 24v Cummins 1998-2002. This is our Repair Service to your HE300VG or HE351VE Turbo Actuator. Remanufactured HE351VG TURBO ACTUATOR. ONE REMANUFACTURED TURBO ACTUATOR HE351VG. 2007-2012 Dodge Ram 3500 6.7. 2007-2012 Dodge Ram 2500 6.7. 89-91 Dodge Ram Cummins 5.9L Diesel. 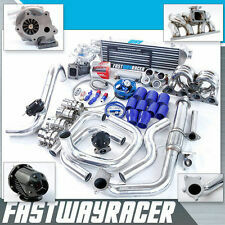 CXRacing Front Mount Intercooler Piping Kit For. Intercooler Piping Silicon Hose T-Clamp Bracket. Piping Kit 3" Cold Side and 2.5" Hot Side Aluminum Piping. Manufacturer Part Number : 3592766. Interchange Part Number : 3592767, 3800799, 3592766, 3800797, 3590104. Turbo Model: HX35W. Built for durability and strength. Our goal is to make sure that you can find exactly what you are looking for and make it easy for you to place your orders. Trending at $127.71eBay determines this price through a machine learned model of the product's sale prices within the last 90 days. (Emission Engines ONLY). Turbo Part Number Turbo OE Number It is for repairing or rebuilding the complete turbo. When will my order be dispatched?. Will this fit my car?. Important notice After Apr. 1st at 4:30am Apr. 2nd at 5:00am Apr. 6th - Apr. 8th. BD Diesel 1515932. Type: Electronic. 03-07 Dodge Ram Cummins 5.9L Diesel. Chassis: 03-07 Dodge Ram Cummins. 3" Intake Elbow Pipe Billet Aluminum Heater Delete Flange. Remove Factory Intake Heater, for Better Airflow. CXRacing Intake Elbow Pipe Heater Delete Flange Kit For. 12CM2 3539911 NA 3537815 3533320. 12CM2 3539911 NA 3537815 3534333. 12CM2 3539911 3802839 3537815 3535833. Auto 160 HX35W. Manual 175 HX35W. For 1994-1995 Dodge Ram Truck with Cummins 6BT 5.9L Diesel Engine. Dodge RAM Cummins HX40W 3538215 T4 Twinscroll flange. Turbo Model:HX40W. 00-04 Ford Focus ZETEC 2.0L Engine. All Vehicles Run with Focus ZETEC 2.0L Engine. OBX ZETEC 2.0L STAINLESS STEEL TURBO MANIFOLD DOWNPIPE Turbine Flange: T3 Flange. Downpipe Flange: 2.25”(ID) 4 Bolts Flange. These form the basis where the rest of the turbo system is built around. This tubular manifold furthers the even exhaust flow using "equal length" runners. Equal length tubular manifolds are the most efficient design, which ensures equivalent air flow rate smoothly from each cylinder. New gaskets are supplied for a leak-free seal. Heavier Spring; Fully Adjustable Actuator Arm; Black Anodized Billet Aluminum. 2003 Dodge Ram 2500 Base L6.-cc Forced Induction::Turbo Upgrade Components. BLACKWORKS RAM HORN DUMP TUBE. Blackworks RamHorn dump tubes are made from high quality stainless steel, and precision TIG Welded for quality. WORKS WITH BLACKWORKS RAM HORN TURBO MANIFOLD. BWR dump tubes are made from mandrel bent tubing to support your high horse power level. Exhaust Turbo Manifold Flange Standard T4 Twinscroll. Engineered for superior durability, backed by industry leading warranty. 89-91 Dodge Ram Cummins 5.9L Diesel. chassis:89-91 Dodge Ram Cummins 5.9L Diesel. CXRacing Front Mount Intercooler Piping Kit For. Intercooler Piping Silicon Hose T-Clamp Bracket. Intercooler Kit.